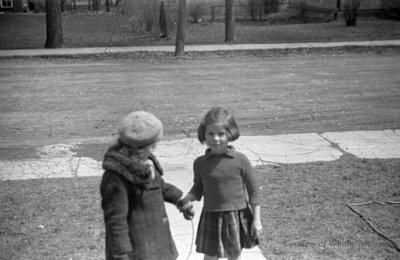 A black and white negative of Marion Rowe and an unidentified child holding hands standing outside on a sidewalk. In this view one child is looking back at the other child. Marion Rowe and an Unidentified Child, October 1937, Marjorie Ruddy. Whitby Archives A2013_040_172B.